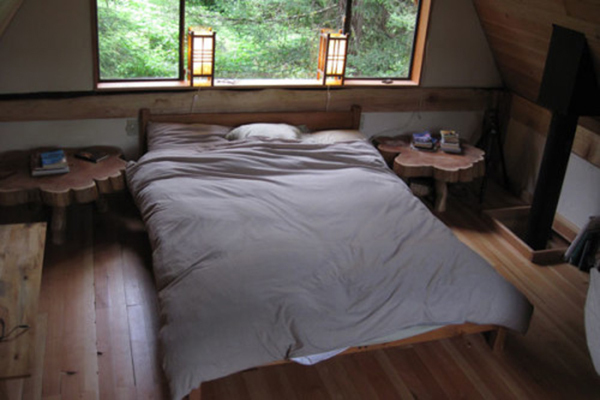 Brian Schulz recently completed his forest house in the Oregon Woods. 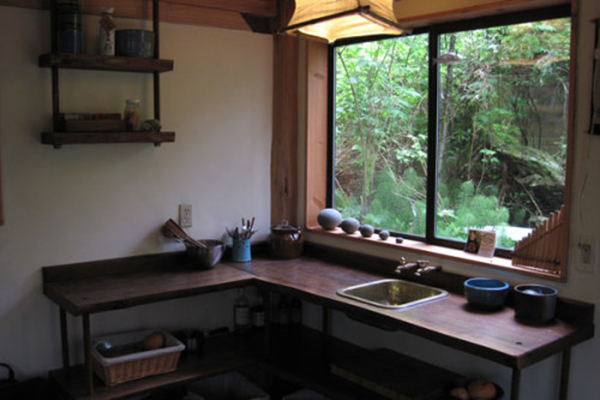 He built the home himself, and the design and concept of it were inspired by the traditional Japanese Minka homes, which are built using local materials and steeply sloped roofs to create affordable, open structures. For his house, Schulz used salvaged materials, along with those sourced from within 10 miles of his new home. Schulz salvaged a lot of the wood he used to build the house from the bay while kayaking, which he then milled on-site by himself. For the corner posts he repurposed blowdown trees from a friend’s forest. 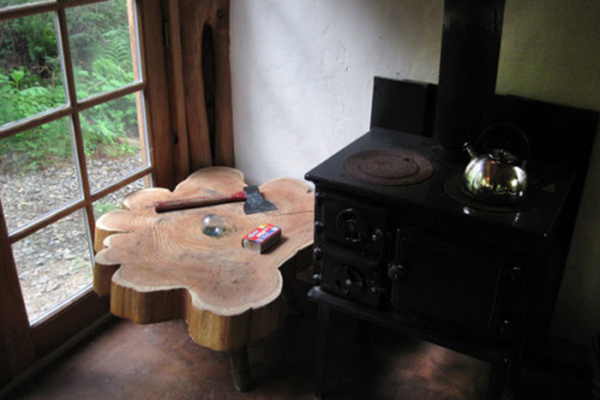 Inside the house, the kitchen counters were milled from a fallen tree he’d collected and kept for 8 years, while the stair railing is made from alder poles that were cut from beside the house. There are three tables in the house, which were all cut from cedar found on the beach and made in 2 hours. The flooring was made from low-grade reject fir, and using various bits of scrap wood for the trimmings. The house also has several large windows, which Shultz purchased for $40 from the local dump. 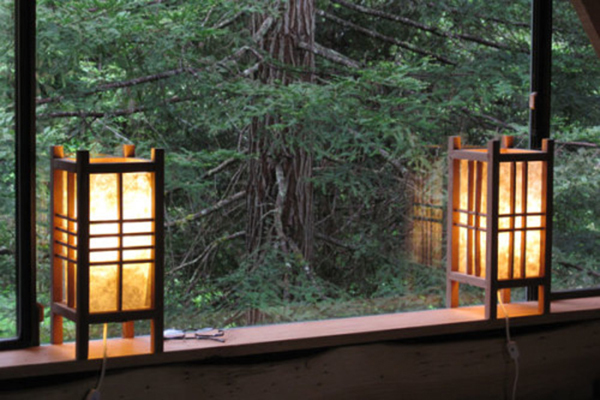 The home is also fitted with several traditional Japanese lanterns made from paper that was handmade only 7 miles from his home. Using only recycled or repurposed materials to build his home was about more than just saving money for Schultz. The Minka tradition that inspired him to build the home holds that by turning a log from beside the house into the house itself gives the house certain mystical qualities. But Schultz thinks that even if this is not something you believe, the search for local materials from which to build the home nevertheless connects a person more deeply to the world around them. Schultz also believes that the simple act of searching for materials that can be repurposed to build a home adds richness to our lives, as it allows you to meet people, discover new places and have adventures. In the course of this you learn new things, and return with beams, windows, doors, and shingles for your new home. 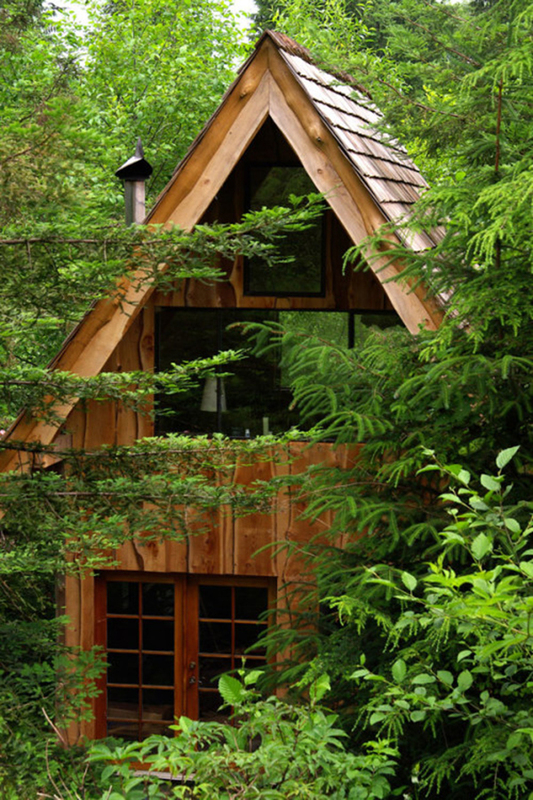 The entire process of building a home following these principles is about being one with the world around you, while it also costs much less then building a traditional home. 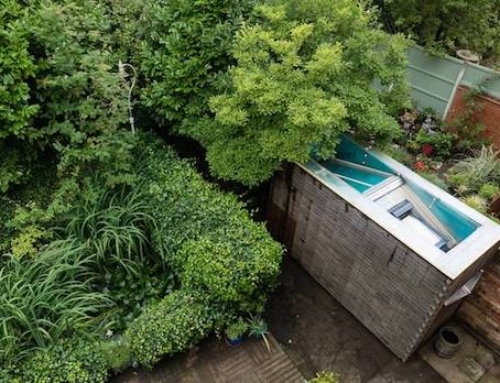 I still don’t understand why people want to have a primary residence the size of a shed. Yes of course they cost nothing to build because you are only spending a little bit more to insulate and finish off the interior of your shed. Oh forgot the additional expense of plumbing. That’s beautiful! 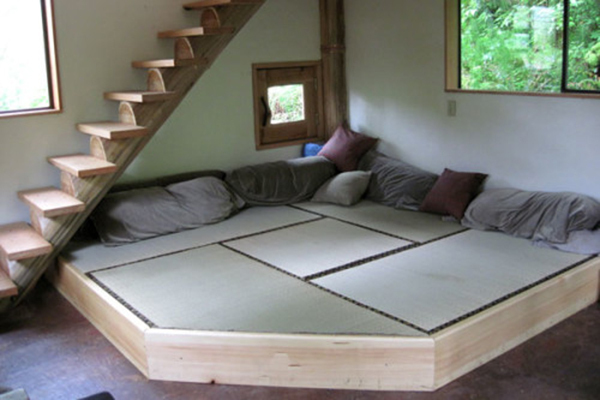 I love the tatami-mat living room.